Staffing Insight works hard to source and recruit the high performing and uniquely qualified professionals you need to fill the critical positions at your organization. 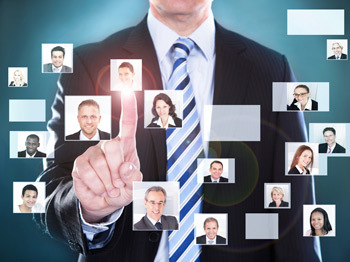 Dedicated account managers are trained to easily identify the unique business needs of clients, as well as to fully understand their specific technical and cultural requirements for the specified position before starting to recruit and present candidates. With strong relationships and deep connections with organizations regionally and nationwide, Staffing Insight has the ability to fill positions from entry level to the C-suite. Our goal is to do more than just put a person in a job, but to consistently provide candidates that will grow and thrive in their careers while helping to build the bottom line for a company. Staffing Insight will streamline the hiring process by identifying, screening, conducting initial interviews and presenting highly qualified candidates for direct-hire, contract, and contract-to-hire positions. We are creative people and are willing to think outside the box to fill traditional and nontraditional roles in Information Technology as well as Finance and Management . Just ask us. Permanent placement positions are permanent, usually full time positions with benefits. Typically, this process is used for higher-level and difficult to fill positions, including but not limited to management and C-suite. Staffing Insight has a pool of talented individuals that are focused on filling temporary or long term contract positions for a specified amount of time (three months or longer). Sometimes temporary positions can turn into contract-to-hire positions or open up the door to a full time permanent job later on. If you have a position available but want to test out the role and candidate first, we can provide temporary candidates to choose from, but also have the potential to be hired full-time after a specified amount of time. Got a Spot to Fill? We Can Help.